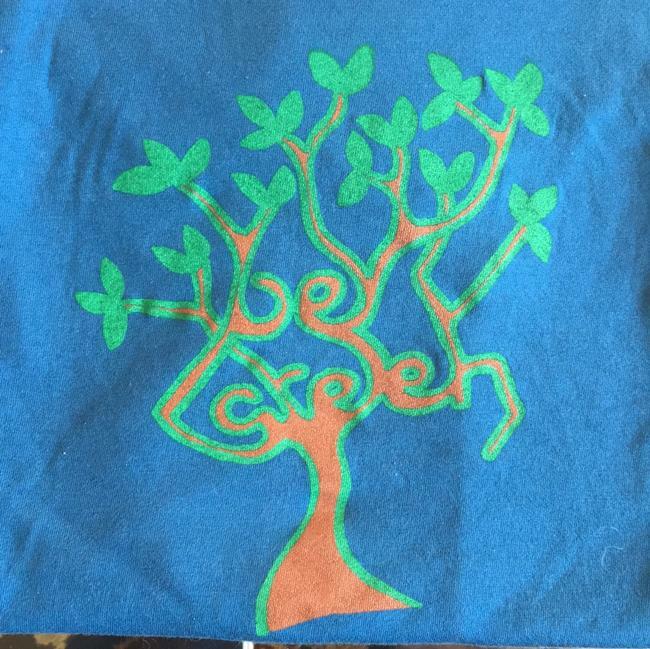 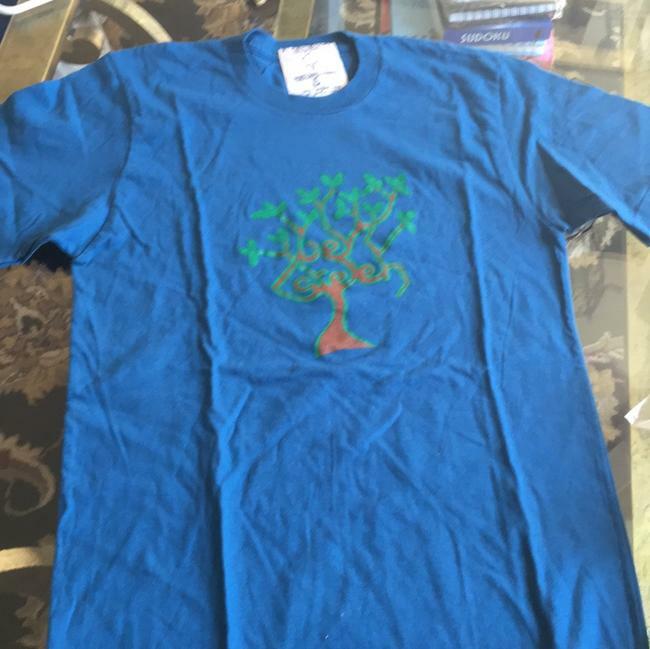 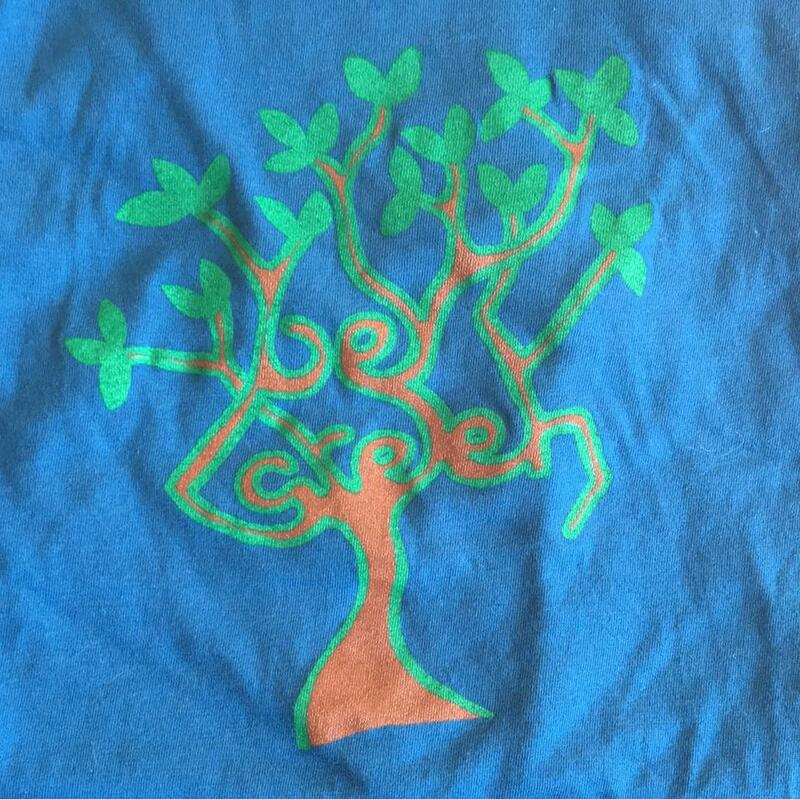 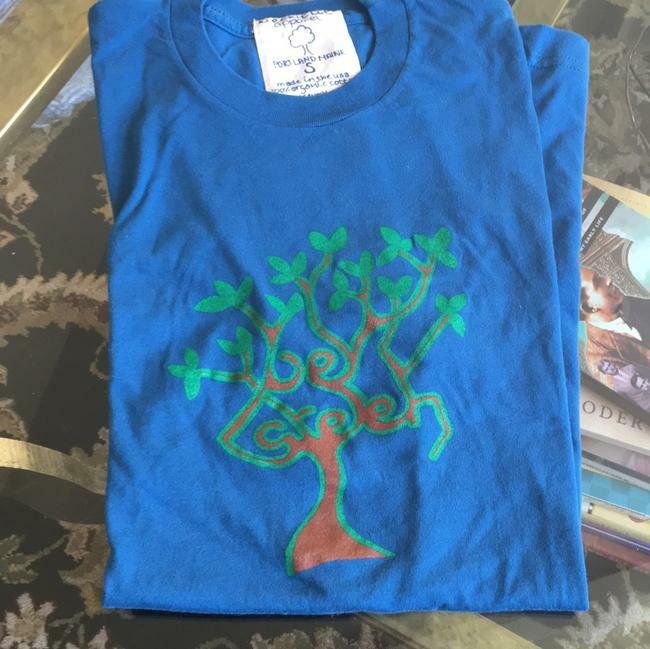 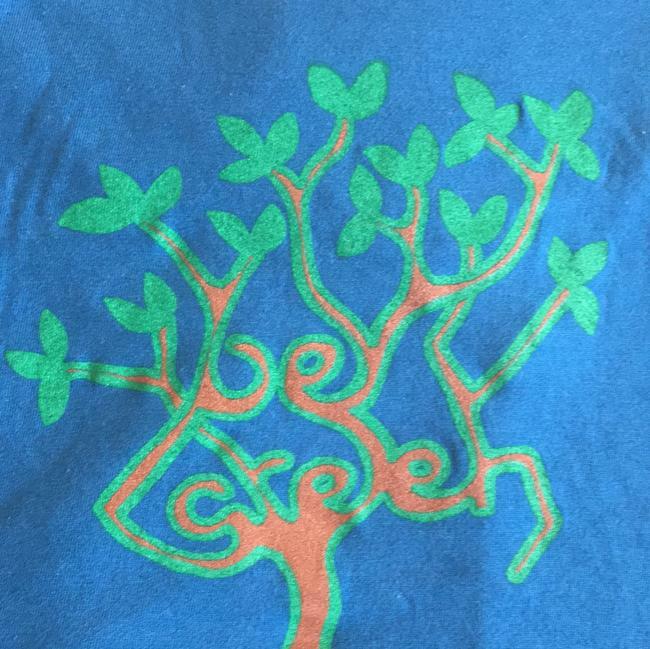 Gorgeous blue T-shirt with a tree print that says be green. 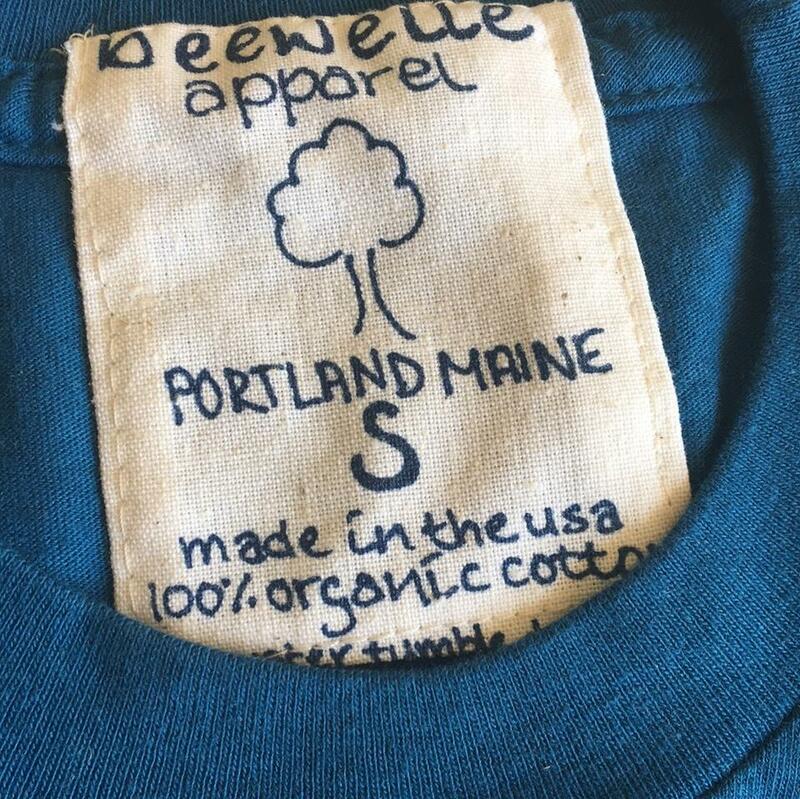 Perfect T-shirt for the environmentally conscious nature loving people who love wearing 100% organic cotton like this T-shirt. Perfect summer addition to your wardrobe. 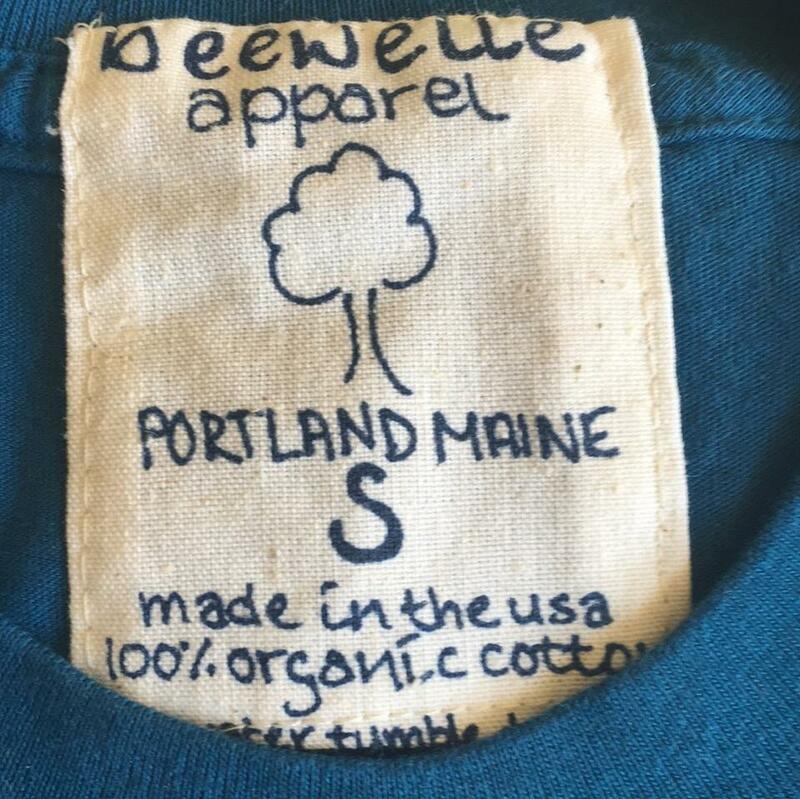 From Portland Maine. 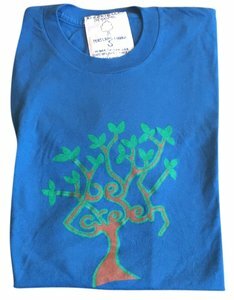 Bacchus plain.